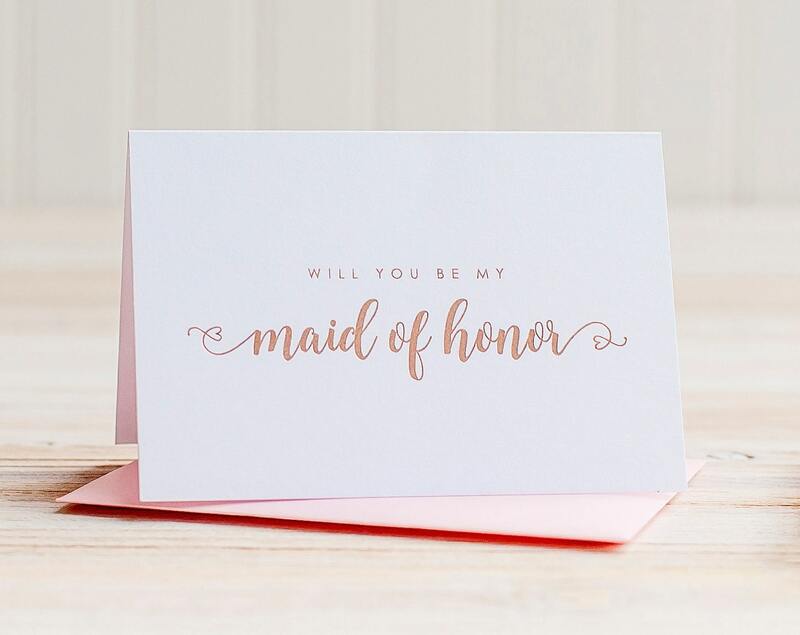 Will You Be My Bridesmaid? 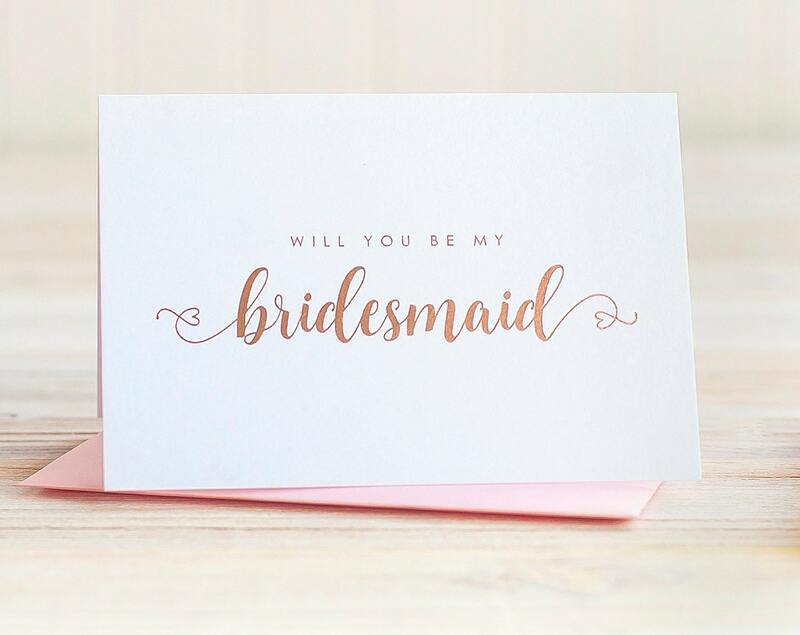 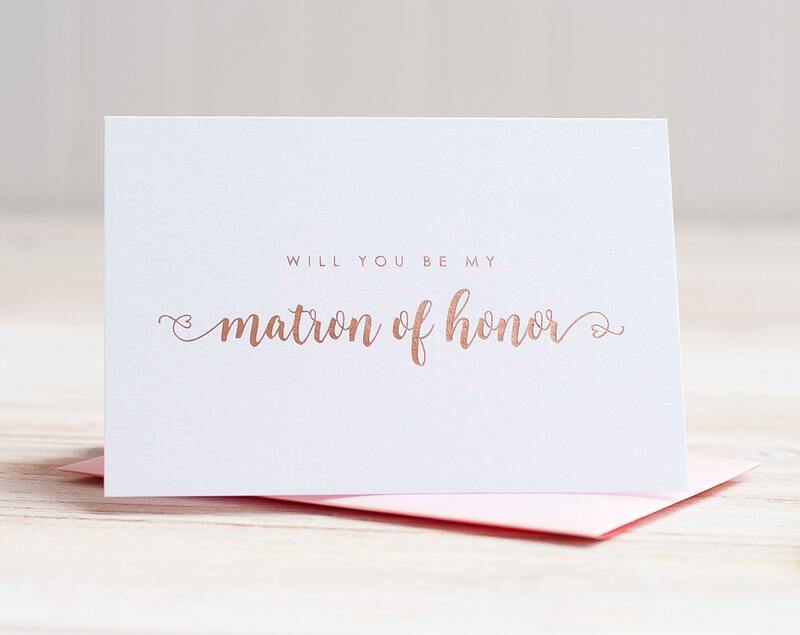 Stamped in real rose gold foil with a sassy and sweet heart detail, these folded notecards are the final touch to your bridesmaid box or bridesmaid proposal gift. 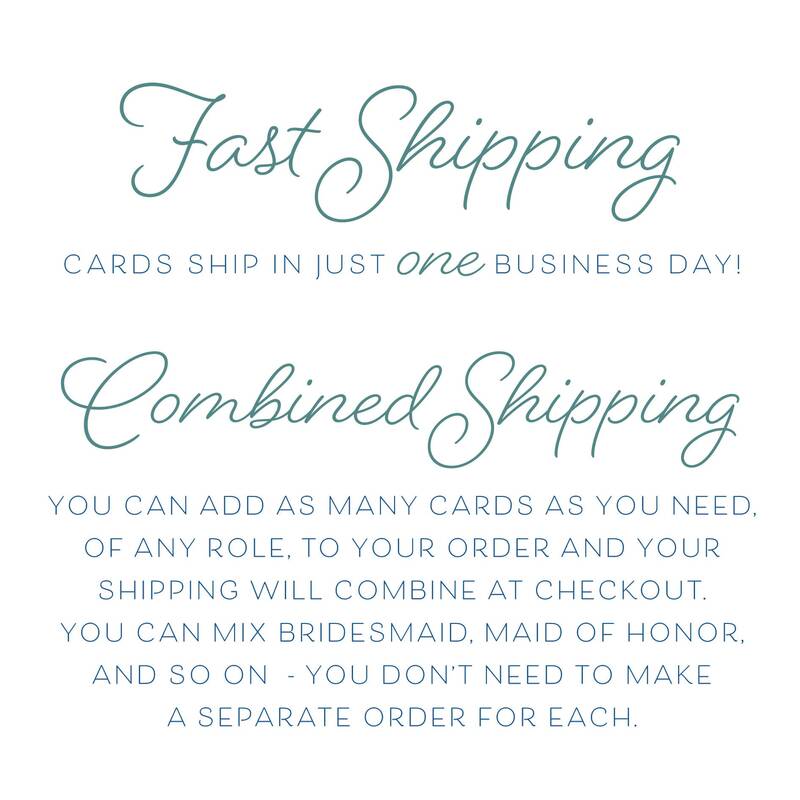 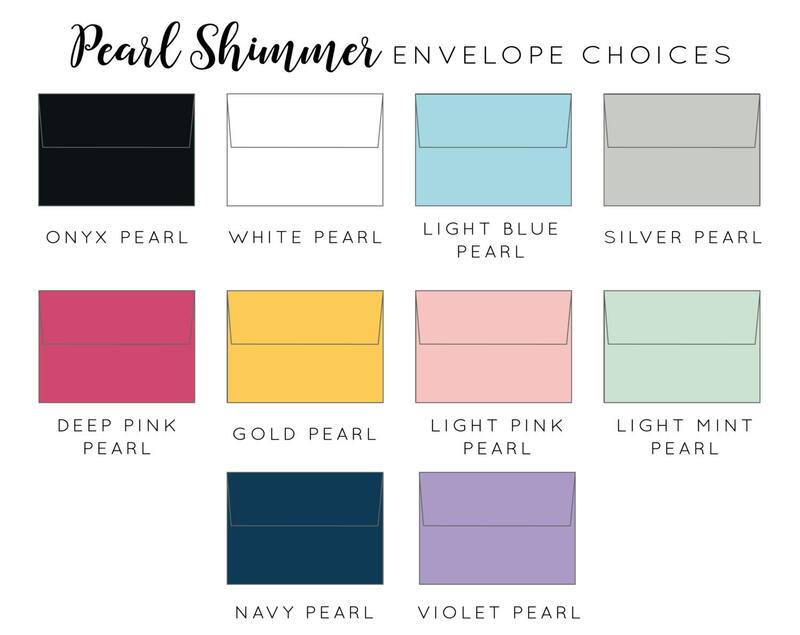 The shimmering white pearl cardstock is the perfect touch and pairs well with all of our 10 envelope color choices. 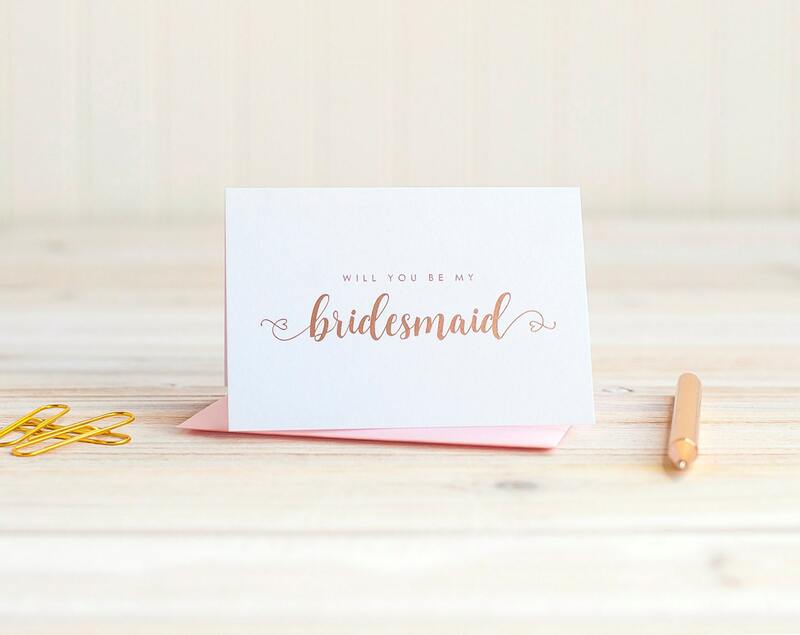 Real rose gold foil shimmers in the light and can look more pink or gold toned depending on how it's held.